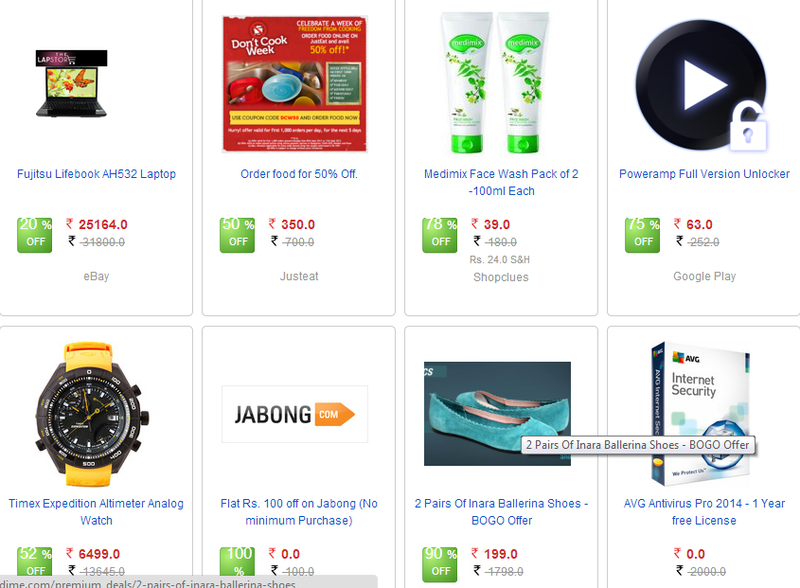 DesiDime.com is completely free and user driven online shopping community for the 'Aam Janta'. It is created to provide a platform for users to Collaborate, make friends and share information in order to make the best shopping decisions. Our objective is to create a community which is created by the users, for the users, to share the best deals available on the net, be it daily deals, special promotions, freebies, coupons, online and in-store deals across India. We want to create a one-stop location when you plan to go shopping!!! We grab the hottest deals in town and make them better by helping you search and find the right things at the right price at the right time. There’s value here for everyone. Sign up for FREE today. To make it completely community focused we have made a promise to ourselves and to our users that we will never post paid advertisements for the front page deal. We do not sell any products. We only provide information to make your shopping experience fun!!! They have really tempting deals and discounts everyday. when we want to know about a particular deal or for a particular online shopping discount coupons, it is very easy to find it from their website. They have various searching options and recent best deals indicating left side bar.These are very helpful for desidime.com users. Also you can get more ideas desidime.com about all online shopping websites before purchasing things. They helping us to find the right shopping website with right deal which we need at that time. They provides us various coupon codes which are very useful while we do online shopping. They have various discount coupons like Jabong coupons, Flipkart coupons which can be useful for our online shopping to save money. I used one coupon from this desidime.com and saved 187 Rs from my 689Rs purchase, awesome na!!! These coupon website are such gr8 way to save money for people like me who shop oline a lot.. Wil check this one out..
wasnt aware of this site! Seems like a good site. Will definitely chk it out! Never heard of this site! but thanks for sharing! Awesome post..will definitely check this site. Very well explained Radha..you gave some good information by this article.. Thank you so much for this and have a great weekend!